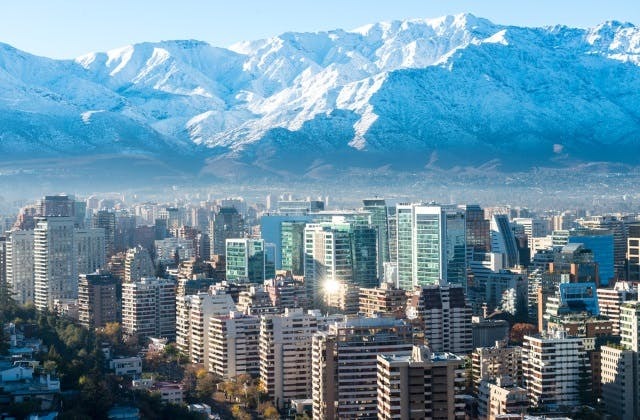 Cheap Flights to Santiago de Chile, Chile. Return Flights. The nearest train station to Santiago de Chile airport is Pudahuel which is 7 kilometres away. Santiago de Chile has the UTC offset of -14400. SCL is the IATA code for Santiago de Chile. The cheapest flight to Santiago de Chile is $996 departing from Brisbane.